Naxals also allegedly threatened the workers to stay away from the construction works before fleeing from the spot. 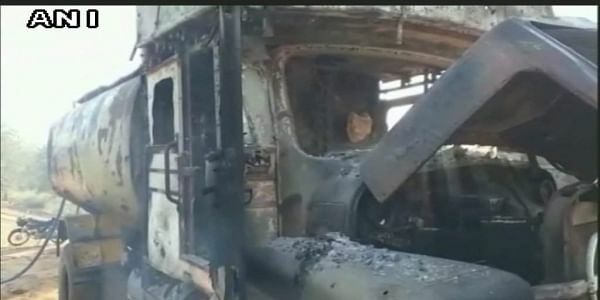 RAIPUR: Naxals set ablaze as many as seven vehicles engaged in road construction work in Chhattisgarh's Dantewada district, police said today.No one was reported to be hurt in the incident, they said. The incident took place late last evening near Toylanka village under Katekalyan police station limits, Dantewada Additional Superintendent of Police Gorakhnath Baghel told PTI. Under the Prime Minister Gram Sadak Yojna (PMGSY) scheme, a road is being constructed between Gadapal and Badelakhapal villages, located around 450kms away here, he said. As per preliminary information, a group of armed ultra reached the construction site near Toylanka and torched two tractors, two water tankers, one poclain machine, one road roller and one JCB machine parked there, the ASP said. Naxals also allegedly threatened the workers to stay away from the construction works before fleeing from the spot, he added. A police team visited the spot this morning, the ASP said, adding a combing operation is underway to trace the Naxals.